A traditional all malt beer, fermented in the traditional German method with a long cold storage; primary fermentation 10-14 days at 7-9°C, lagering (storage) 4-6 weeks at 4°C or less. The storage produces a soft, natural carbonation. 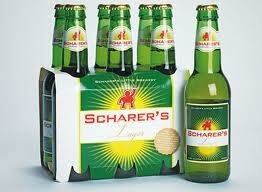 Scharer’s Lager is 4.9% alcohol by volume, quite full-bodied with a big malt start, balanced with quite a high bitterness, hop flavour and a dry finish. The Lager has a hoppy, aromatic, and sometimes honeyish nose. No added sugar, preservatives or chemicals; unfiltered and unpasteurised. A lovely hoppy,aromatic beer with a slight dry finish. A very nice session beer.